The request for an inventive take on industrial chic led the JustSeventy team to London’s only lighthouse, to the east of the city centre. This was the perfect location for our bride and groom since, as true Londoners, they wanted to be aware of their city surroundings but, with our help, reinvent the concept of how an urban wedding could be created. 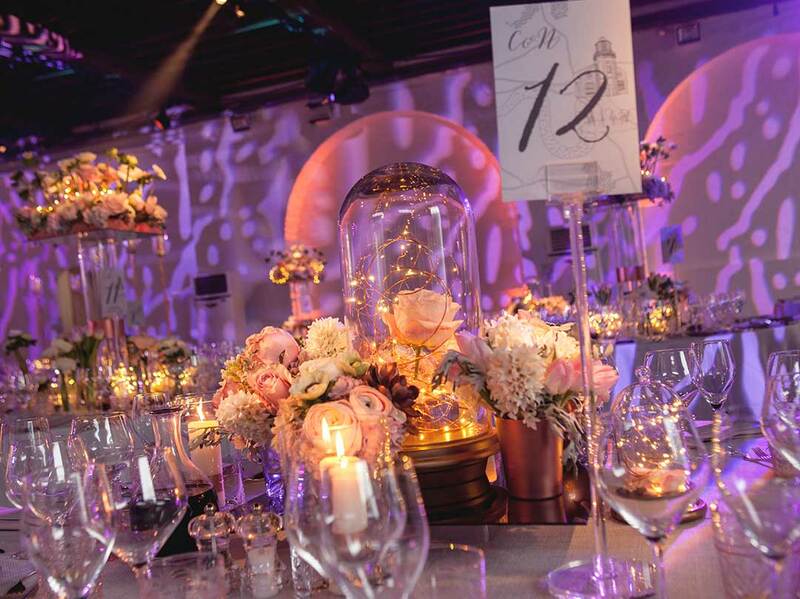 Prior to the wedding ceremony taking place, we had already taken care of all vital elements including managing the hotel rooms, co-ordinating parking, logistics of multi-site locations and ensuring the secretive bridal party arrival. 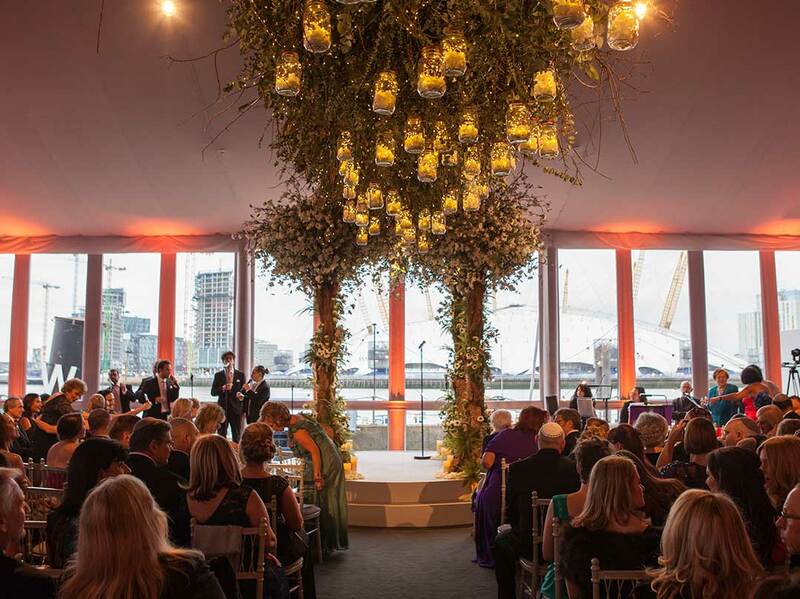 The JustSeventy team designed and delivered a spectacular venue which consisted of a stylish marquee overlooking the Thames and The O2, constructed as an extension of the existing lighthouse structure and Chainstore. 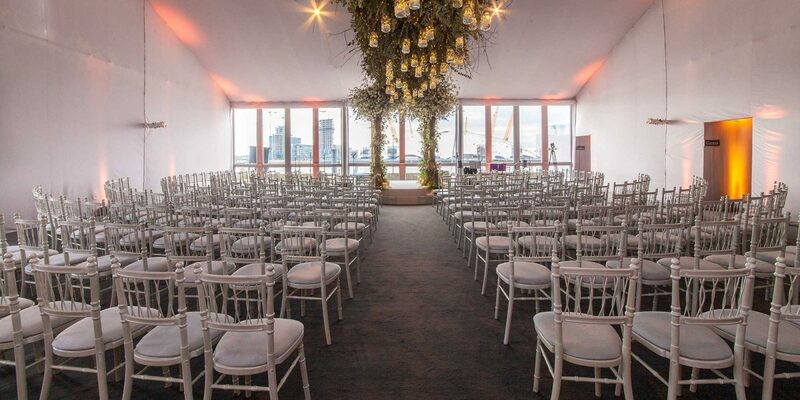 This marquee, with glass panels the full riverside length, ensured panoramic views of key London sites, particularly the iconic O2 opposite as well as other East London gems. Aside from this stunning view, the guests were welcomed to a ceremony that took place under a woodland chuppah with tree-trunk legs, a gospel a cappella group and an aisle canopy of suspended fairy-lit mason jars. 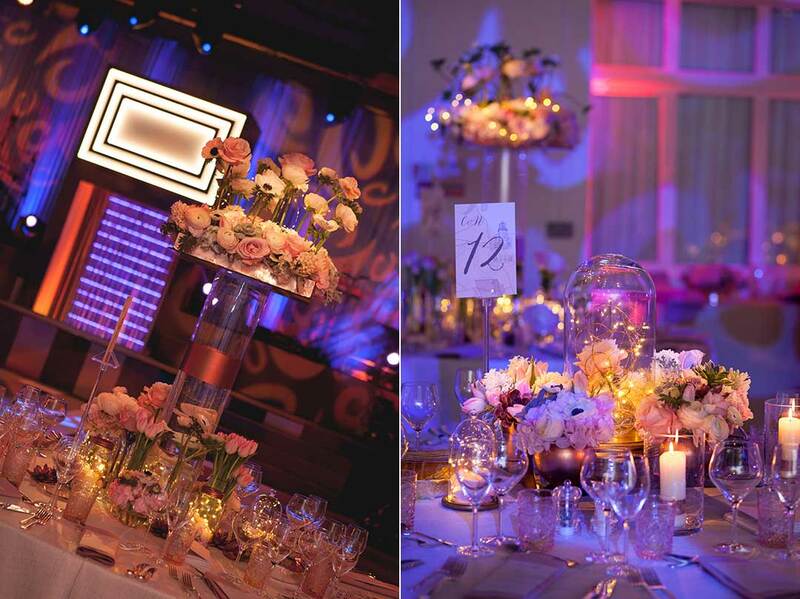 The ceremony décor was truly magical, as was the ceremony itself with beautiful music and some very special moments. 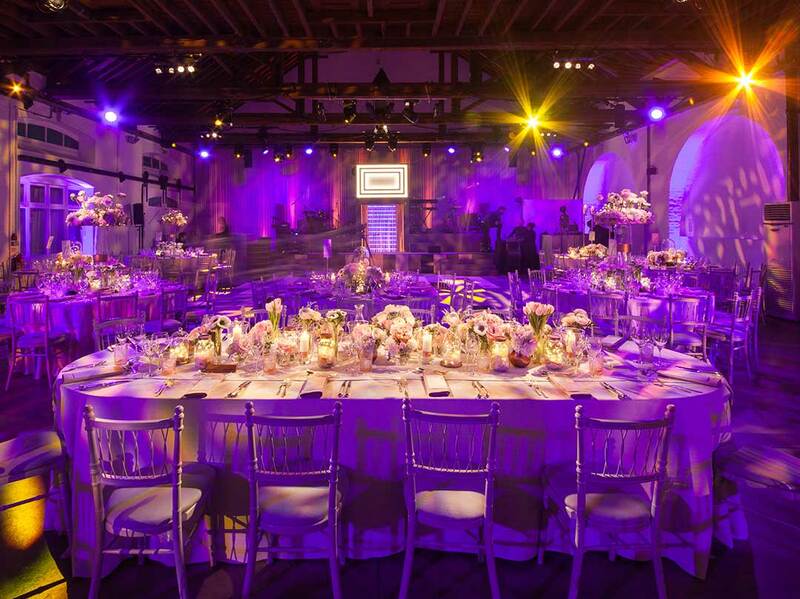 Following the ceremony and drinks reception, all guests were invited into the space set up for a dinner and party. 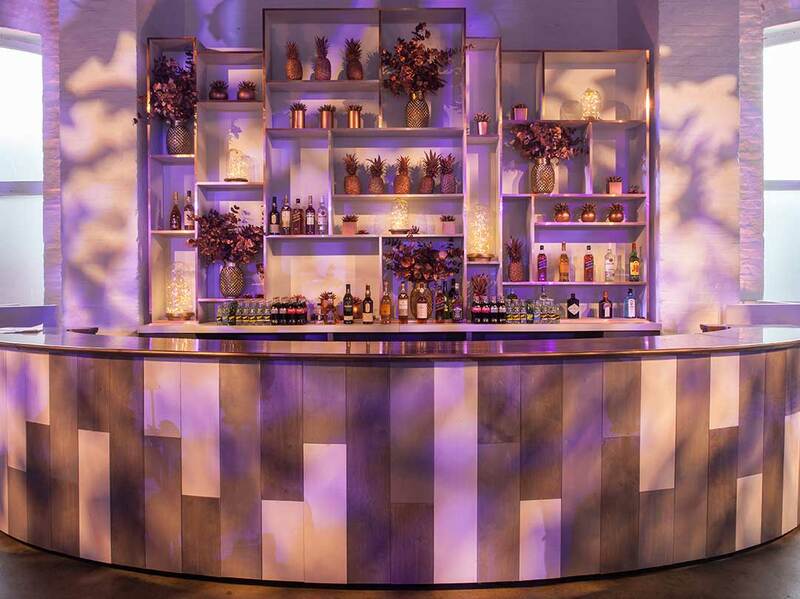 Everyone present was in awe of the décor which included a phenomenal stage, uber-stylish bar and a show-stopping dance floor, all designed by the JustSeventy team. Taking advantage of the venue’s high ceiling, the decision was made to suspend the DJ booth up high which was incredibly effective. The menu design was in line with the contemporary theme and ensured that all guests were dazzled with the wine also flowing all evening. 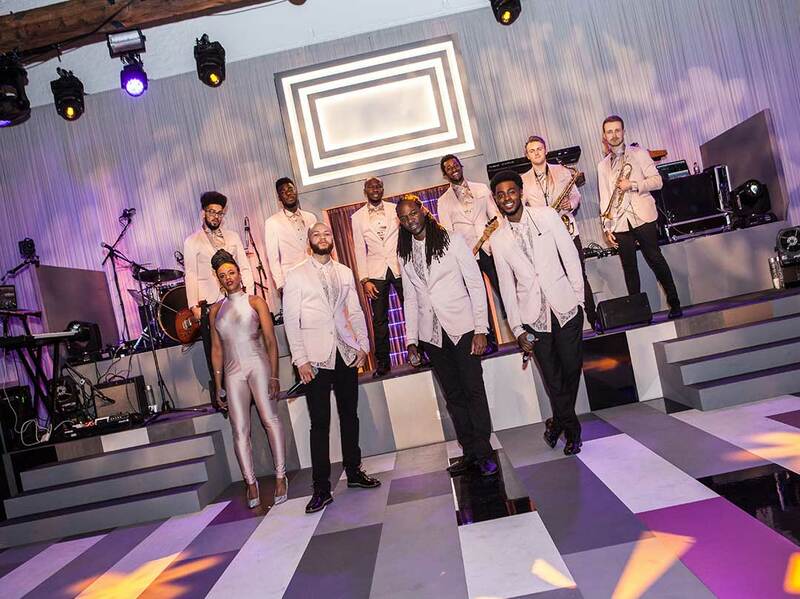 Around the dinner, the exceptional band booked and managed by JustSeventy kept the crowd entertained and motivated for what later turned into a wonderful party. 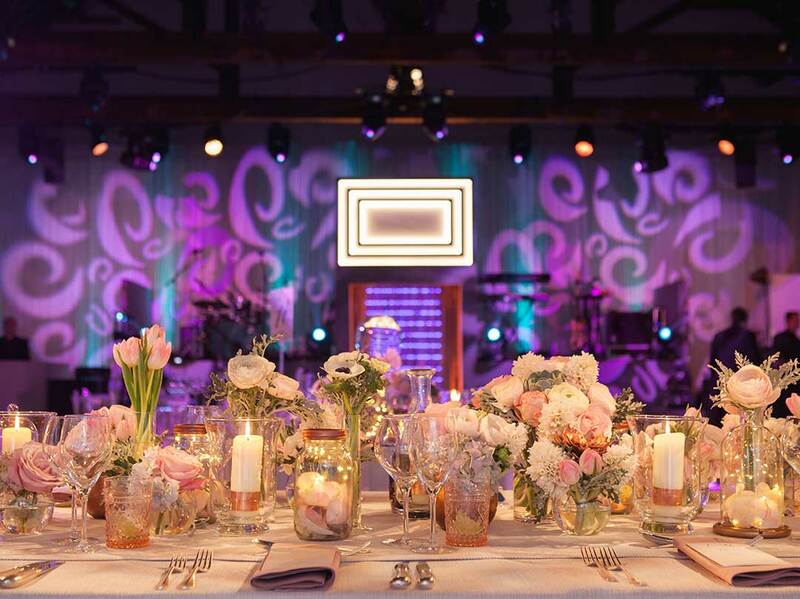 Spectacular lighting displays, carefully curated playlists and exceptional quality from all areas created a perfect wedding party atmosphere, just as the bride and groom had asked for. 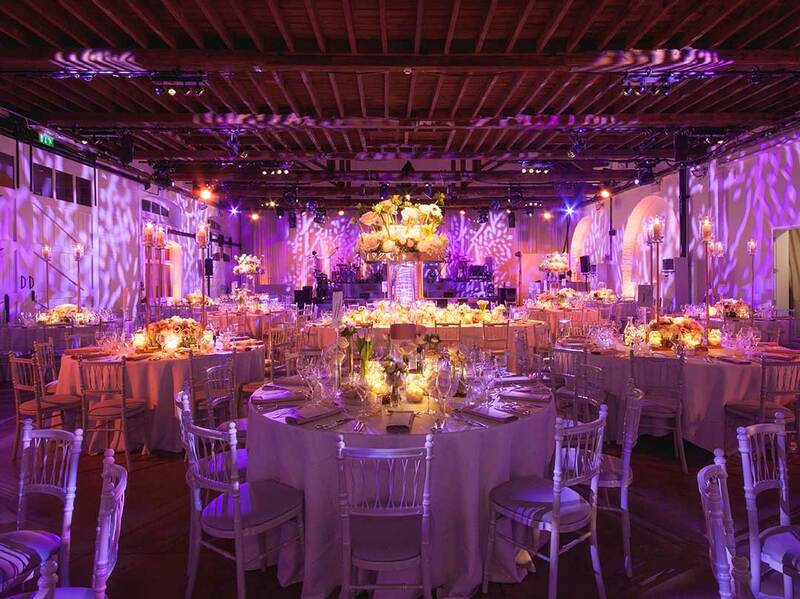 This London wedding was the completion of a trilogy of weddings for the family’s siblings, and finished with all guests and family members leaving the Chainstore feeling elated.